New productions of two of Angela Carter's iconic radio plays from the 1970s, Vampirella and Come Unto These Yellow Sands. Introduced by Fiona Shaw as Angela Carter. Two iconic radio plays, first produced in the 1970s, now given brand new productions. Introduced by Fiona Shaw as Angela Carter. A young Englishman, travelling by bicycle through Transylvania, finds himself at the mercy of a 'lovely lady vampire' and her governess. Carter's hallucinatory documentary drama about the murderous Victorian painter, Richard Dadd. 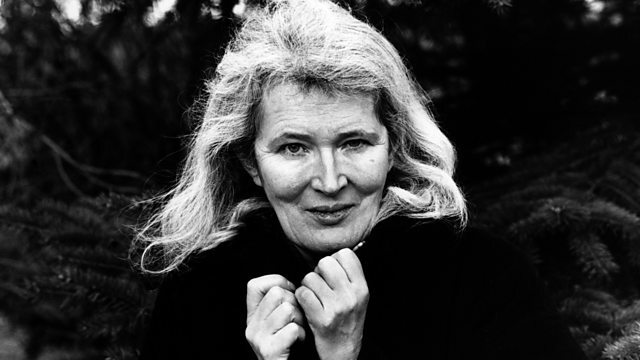 Radio 3 presents new interpretations of two radio scripts by Angela Carter, originally written and broadcast on BBC Radio 3 in the 1970s. Both these scripts embody the combination of stylistic daring, playful wit, dazzling language, and high intellectual seriousness which is a hallmark of Carter's best work. These productions will be introduced by Fiona Shaw, playing Carter, so that she may explain in her own words how she came to write them, and why she felt so strongly attracted to Radio drama as a medium. VAMPIRELLA, Angela Carter's first radio play was produced by Glyn Dearman, and broadcast in July 1976. As Carter describes it: the "lovely lady vampire' skulks in her Transylvanian castle, "bored with the endless deaths and resurrections", and caged by "hereditary appetites that she found both compulsive and loathsome". A young British officer arrives, who kills her with the innocence of his kiss, and then goes off to die in a war "far more hideous than any of our fearful superstitious imaginings". COME UNTO THESE YELLOW SANDS tells the story of the painter Richard Dadd, who murdered his father and was confined to Broadmoor, where he created the Fairy paintings for which he is now famous. Carter uses the story, and animates the fairy figures themselves, in order to explore how "the distorted style of the paintings of Dadd's madness, together with his archetypical crime of parricide, seems to be expressions of the dislocation of the real relations of humankind to itself, during Britain's great period of high capitalism and imperialist triumph." How immersive technology brings Beckett's radio plays to life.